Alexander G. Cochran, Grand Master Councilor, died May 1, 1928, at 9:30 P. M., in St. Luke's Hospital, St. Louis, Missouri. He was 81 years of age. He presided at the Annual Session of the Grand Council of the Order of DeMolay held in Kansas City, Missouri on March 19-20, 1928. The day following, he was taken ill while returning to his home in St. Louis, Missouri. Brother Cochran was admitted to the bar when only 19 years of age, and practiced in Pittsburgh, Pennsylvania for 8 years. Elected to the United States Congress in 1874, he served one term until 1876 and later moved to St. Louis, Missouri, where he was General Solicitor for the Missouri Pacific Railway and the Cotton Belt Railway for many years. He was a 33rd degree Mason and an Active Member of the Supreme Council of the Ancient and Accepted Scottish Rite of Freemasonry for the Southern Jurisdiction, and its Sovereign Grand Inspector General in Missouri. 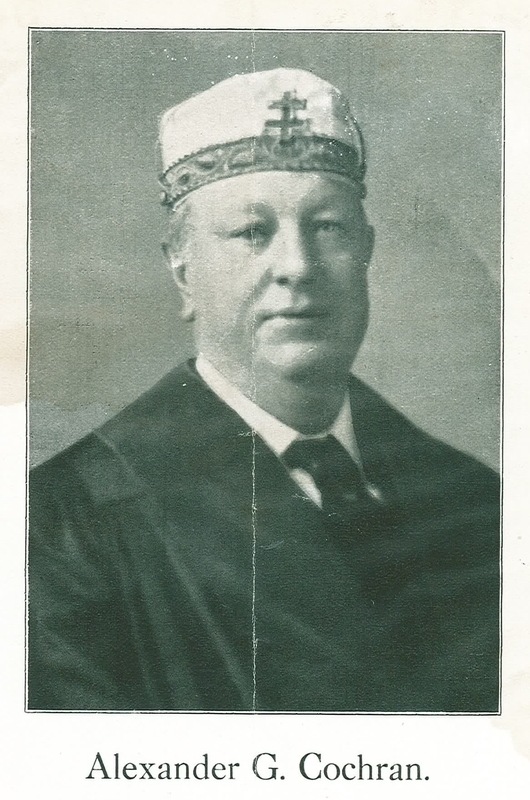 Brother Cochran was the first Grand Master Councilor of The Grand Council of the Order of DeMolay and served from its first meeting in 1921 until his death. He was deeply interested in the Order of DeMolay from its inception. He was a great friend and staunch supporter of Frank S. Land. Funeral services for Brother Cochran were held in the Scottish Rite Cathedral in St. Louis, Missouri, Friday afternoon May 4, 1928. Many members of The Grand Council of the Order of DeMolay, many prominent Masons throughout the country and a large delegation of DeMolay boys attended the funeral. Burial was in Bellefontaine Cemetery, St. Louis, Missouri. 1.) Having been “admitted to the bar” at age 19, how smart do you think Cochran was? 2.) Why did Dad Frank S. Land seek to involve Cochran in the Order of DeMolay? 3.) 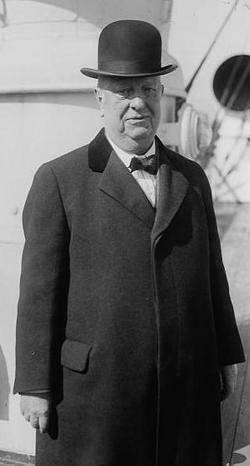 The biography did not mention that President of the US, William Howard Taft had once suggested Cochran’s name to fill a vacancy on the Supreme Court, but under pressure from the opposing political party, he withdrew the name. Why wouldn’t that have been appropriate in his obituary?